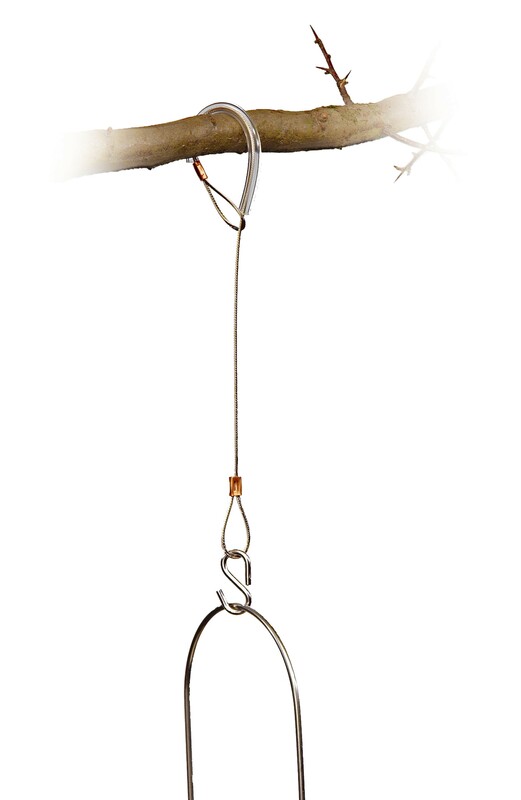 The Bird Feeder Hang Right tree hook will enable you to suspend your bird feeders from tree branches. A versatile hook that loops around a tree branch. 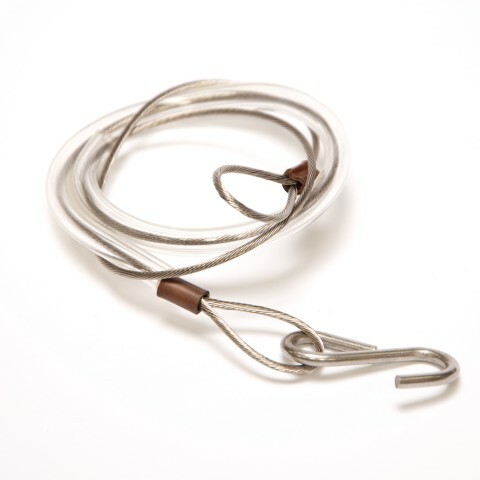 Trees can be damaged when a wire is used to suspend bird feeders, and the Hang Right has a plastic coating on the non-rusting stainless steel cable in order to prevent any damage. It is strong enough to hold the heaviest of bird feeders. A good product - wish I had bought a longer one though. You do need to be fairly tall to get it over the tree branch or you need to stand on something. 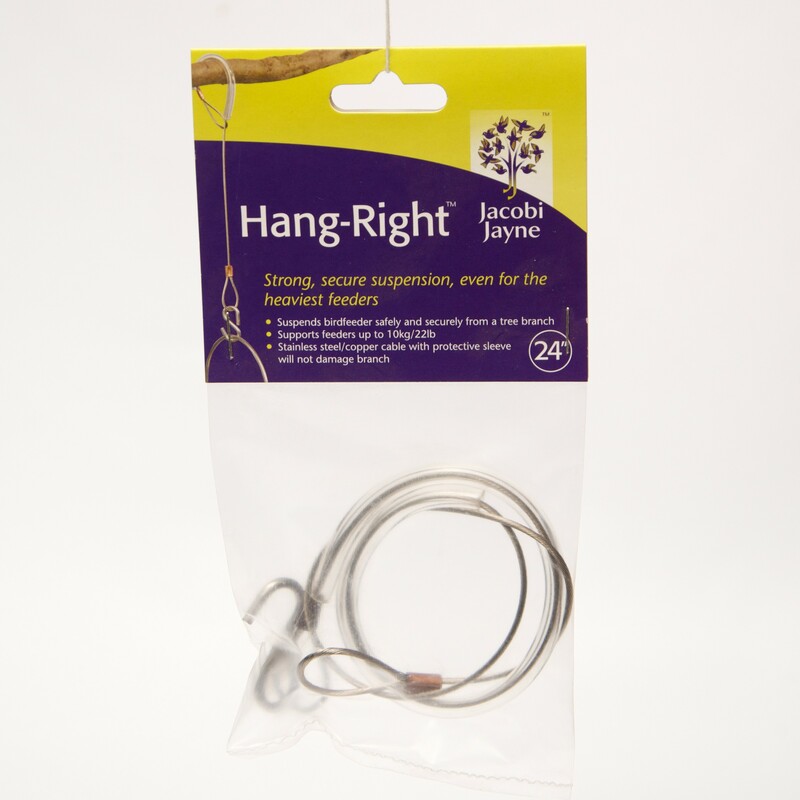 The long metal tree hooks work better of you are of shorter stature but I was sadly unable to find any.